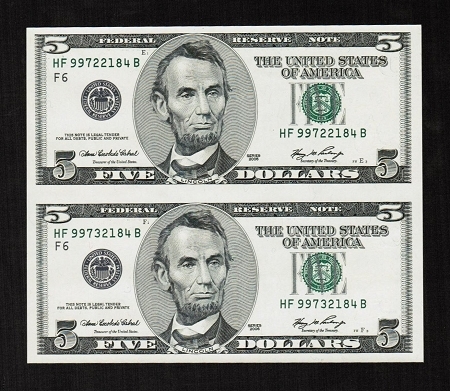 Two $5 dollar bills Series 2006 Uncut Rare No Design, or Colors Series These notes were printed by the BEP for a short period of time and becomes very hard to find Both with almost the same serial number. (Just one or two number in the middle are different) This interesting piece would just make a perfect and interesting gift, or to frame on an office wall. 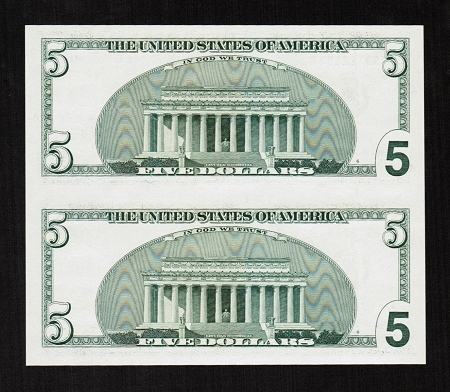 Condition: The condition of these notes are Crisp Uncirculated GEM!